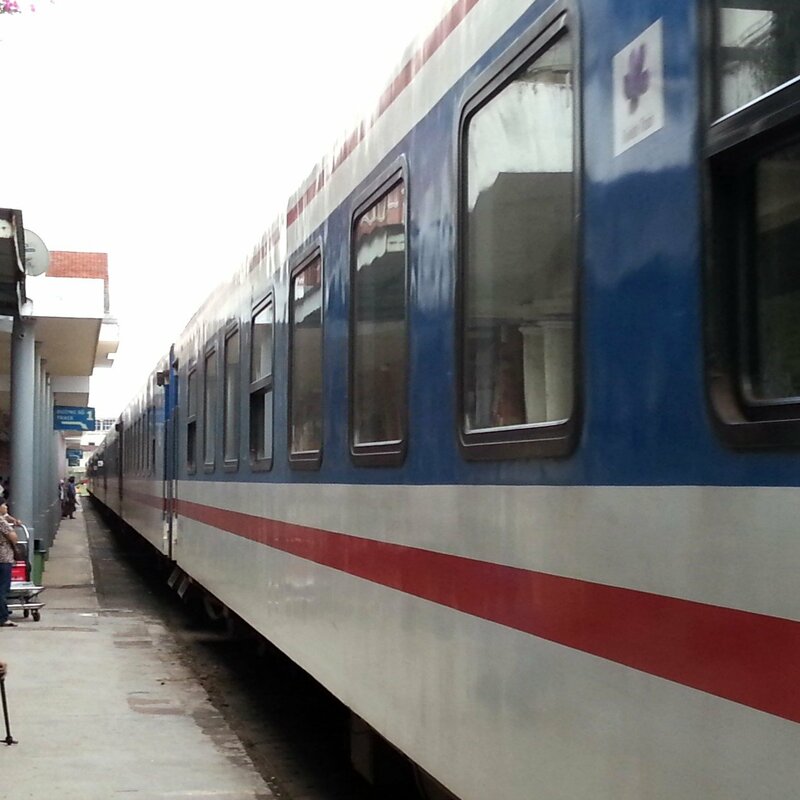 By train its takes between 7 and 8 hours to travel 368 km from Vinh to Hue. There are 7 daily departures on SE class trains, the majority of which travel through the night. The most popular services are Train #SE7 departing at 12:09 and Train #SE9 departing at 21:02, as the other train services either leave very early in the morning or arrive late at night. The fastest train service from Vinh to Hue is Train #SE1 departing from Vinh at 03:56 and scheduled to arrive in Hue 7 hours 3 minutes later at 10:59. The slowest of the train services from Vinh to Hue is Train #SE9 departing at 21:02 which is scheduled to complete the journey in 7 hours 53 minutes. Use the Search Form below to buy your train tickets from Vinh to Hue. Hue was the capital city of the last royal dynasty of Vietnam before the country became a Communist state. The Imperial Citadel, where the Emperors resided, was constructed in the early 19th Century. The Imperial Citadel occupies an area of approximately 3,154,700 sqm and is surrounded on three sides by moats and fortification and on the South Side by the Perfume River. The Imperial Citadel in Hue has many similarities to the Forbidden City in Beijing. One big difference between the Imperial Citadel in Hue and the Forbidden City in China is that most of the Imperial Citadel was largely destroyed during fighting, first between the North Vietnamese and the French colonial powers and then between the North Vietnamese and American Forces. It has been estimated that by the time the fighting in Hue had finished only 10 out of the 160 buildings in the Imperial City were left standing. The Imperial City has undergone extensive restoration work since the end of the Vietnam War to attempt to reconstruct what was once there, and this process is ongoing. The Imperial Citadel is located in the centre of Hue City on the opposite side of the Perfume River to the train station. The citadel is open from 08:00 to 17:30 every day and we recommend that you go early in the morning. 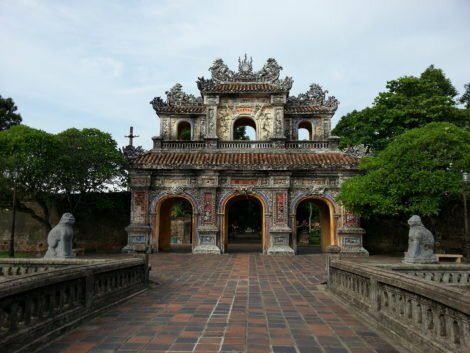 The Imperial Citadel is one of seven UNESCO World Heritage sites in Vietnam and as such its on the itinerary for a fairly high percentage of tour groups to Vietnam. For the best experience of the Imperial Citadel aim to complete your visit before the tour buses arrive mid-morning. Entrance to the Imperial Citadel costs 150,000 VND or adults and 75,000 VND for children (about $3 to $6 USD).